It’s no stretch to say that Cleveland’s yoga scene is thriving. Just ask these three studios. With dozens of yoga studios throughout the Cleveland area, it’s not hard to find your flow. 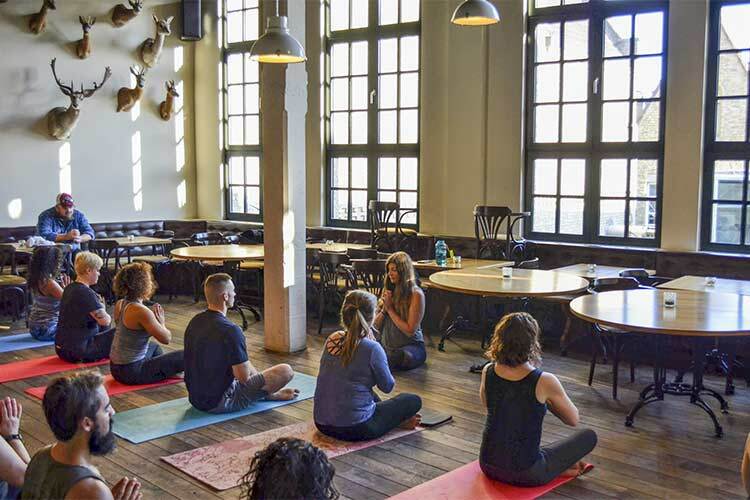 Just ask Dawn Rivers of Daybreak Yoga, Melissa Klimo Major of Balance & Brews, and Anjua Maximo of GrooveRyde—all of whom own successful yoga businesses that are truly hitting their stride with new locations and ventures. If the universe has a plan for Dawn Rivers, it seems to be working. One year after she set an intention to find a permanent studio space for Daybreak Yoga, Rivers is setting up shop in downtown Bedford. It took just two months to ramp up from when she signed the papers for the space in late August to its recent soft opening. “Things have happened quickly, and it feels fantastic,” says Rivers. 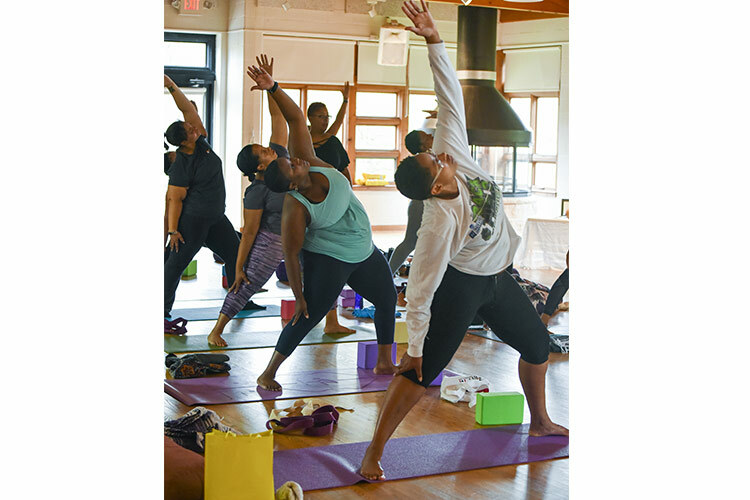 The new Bedford studio will continue to offer much of the programming that has made Daybreak Yoga so popular: Self-Care Sundays (classes that incorporate yoga, journaling, and meditation), Hustle & Flow (yoga set to trap music with a live DJ), and kids yoga. Rivers is also adding restorative yoga, yin yoga, chair yoga, and couples yoga into the mix, and she’s working with yoga instructor LaRaun Clayton to develop a men’s version of the successful Self-Care Sundays. 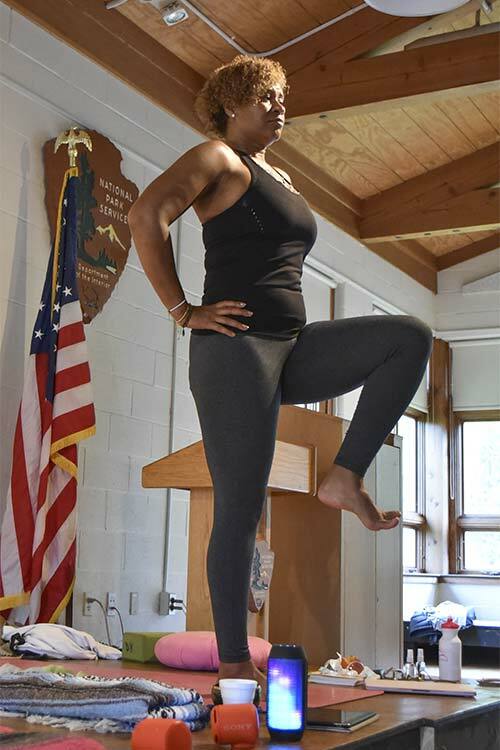 Much of Rivers’ mission centers on reaching people of color, whom Rivers says often experience a feeling of exclusion and “micro-aggressions in the yoga world.” In October, Rivers hosted her first weekend yoga retreat for 13 women of color at the Cuyahoga Valley National Park, and she’s already planning next year’s installment. For Melissa Klimo-Major, beer and yoga just fit. That’s why she founded Balance & Brews in 2014—Klimo-Major was teaching yoga at a studio at the time, but found herself going to the bar to hang out with students after every class. The business has even grown beyond Cleveland as Klimo-Major’s instructors have relocated, with Balance & Brews offshoots now located in Kentucky and Nevada. “Things have grown really organically,” says Klimo-Major. Another area of growth has been the Balance & Brews yoga retreats. 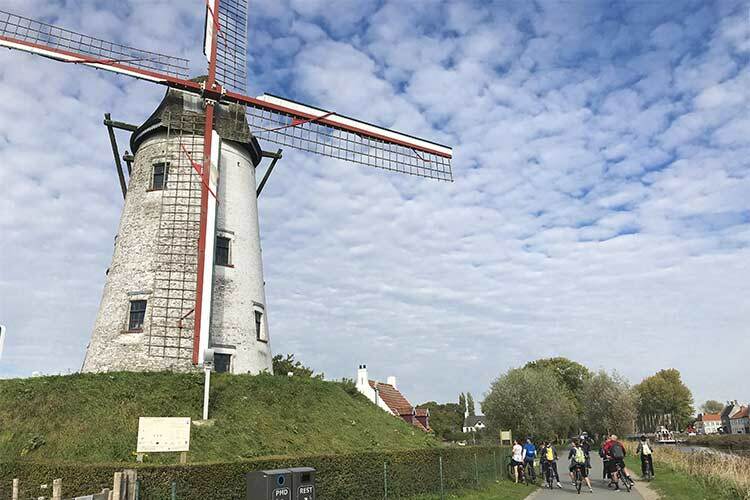 For the last several years, Klimo-Major has offered regional “Balance on the Road” retreats in Athens, Ohio (in tandem with Jackie O’s Brewery), and this October, she delved into international travel with an 18-person group trip to Belgium. From Brussels to Bruges, the itinerary included bike rides, brewery exploration, and daily yoga and meditation. Next up is a February trip to Cartagena, Colombia, and Klimo-Major hopes to offer more regional trips to Athens and another Belgium trip in the near future as well. For Klimo-Major, it’s all part of furthering the good vibes that the beer-and-yoga pairing creates. 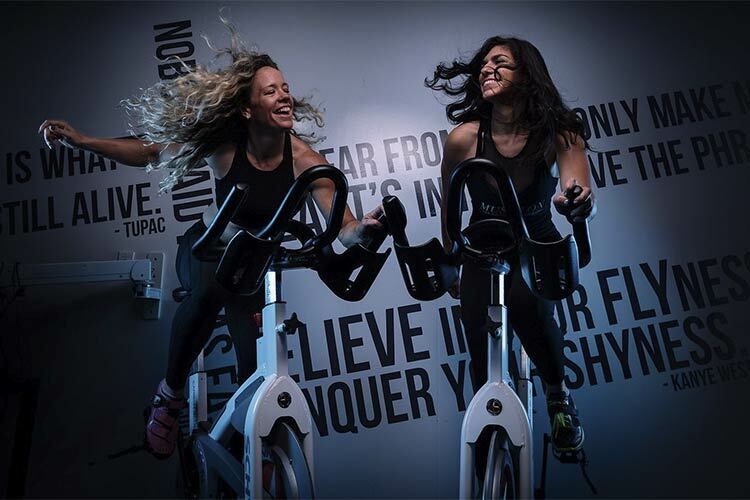 Since opening their first GrooveRyde location in 2015, co-owners Anjua and Zosimo Maximo have been riding the wave of success, and now they’re planning to open their third location in the Van Aken District in January 2019. In the coming months before the new studio officially opens, GrooveRyde will offer a “Yoga Pop-Up Shop” at the Van Aken District inside the former Whiskey Grade/Evie Lou shop at 20075 Chagrin Blvd. Starting on Monday, November 12, free yoga will be offered every Monday at 6 p.m. with an array of instructors. Once open, the Van Aken location will offer many of the signature classes offered in GrooveRyde’s Woodmere and downtown locations (such as Buti yoga and cycling), but the new studio will also have a dedicated yoga barre studio with infrared heat—which Maximo says is more eco-friendly and known to help with joint inflammation. The studio also has a third room which is still a question mark for the Maximos. “We’re still contemplating what we want to create [in the third room], whether that’s a fitness/workout room, spa retreat, or meditation room,” says Maximo. Anjua MaximoAlong with the studio’s expansion, Maximo is also focused on growing her “Pure MVMNT Immersion Weekends,” which encourage sensual expression via dance and self-reflection. The concept is informed by her years as a lead teacher for Sheila Kelley’s successful “The S Factor” pole dance empire in Los Angeles, and her work as a certified life coach and Lululemon store manager. The classes will be offered both at the new Van Aken location and various locations around Greater Cleveland and beyond.